Hey everyone! 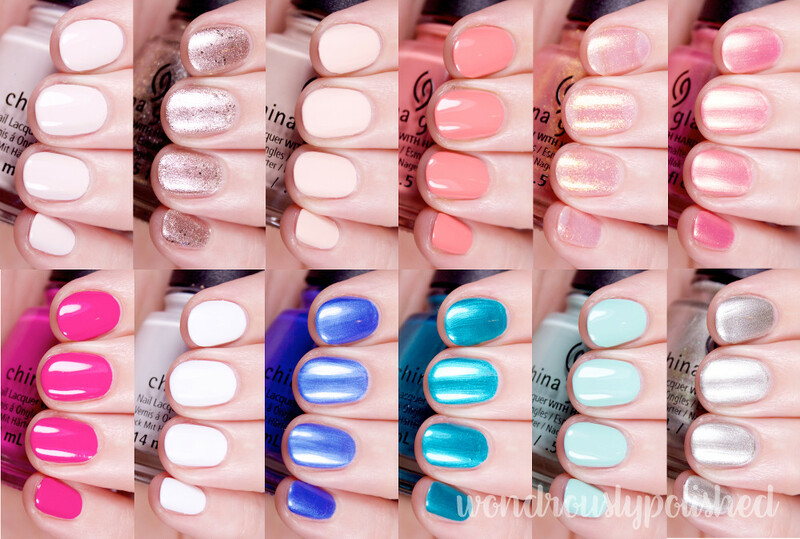 I've got swatches of the new China Glaze Spring Fling collection to share today! 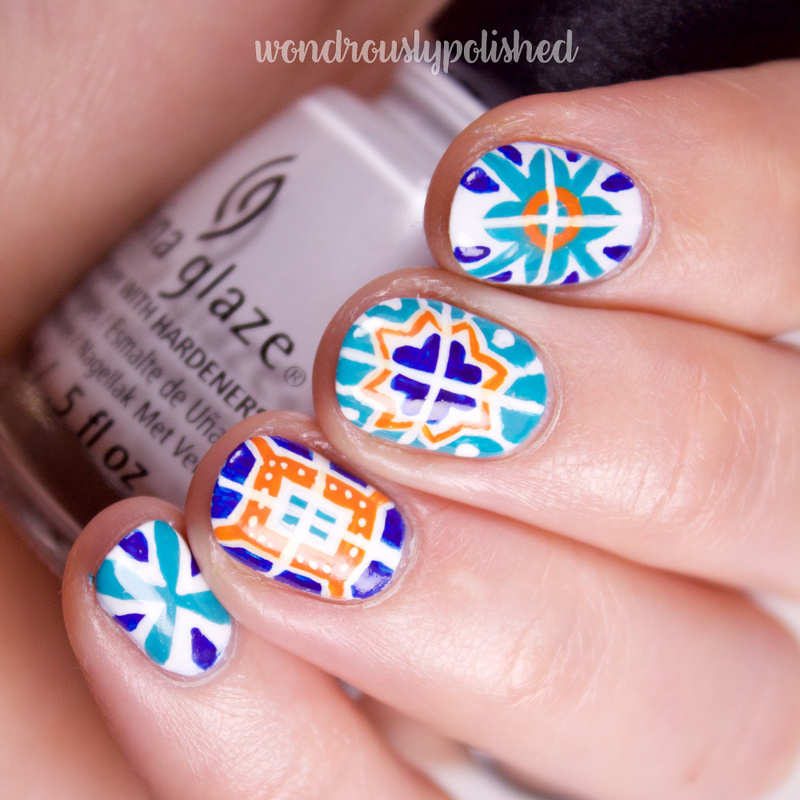 I am seriously loving these colors together, and while some of the individual shades aren't necessarily my style, I think all of these work great for a springtime adventure. It's been quite awhile since I've posted here. As has been the theme of my life this past year, I'm just busy. With work and life and blogging has been the thing that gets pushed to the way side. The big thing recently? I MOVED! Yay! My husband and I bought our first home and I couldn't be more thrilled. We are so fortunate. Today I've got another look inspired by The Planner Society Kit! You know how I love finding inspiration from washi tape, and Christy's kits are packed full of beautiful prints and patterns that I find so inspiring. 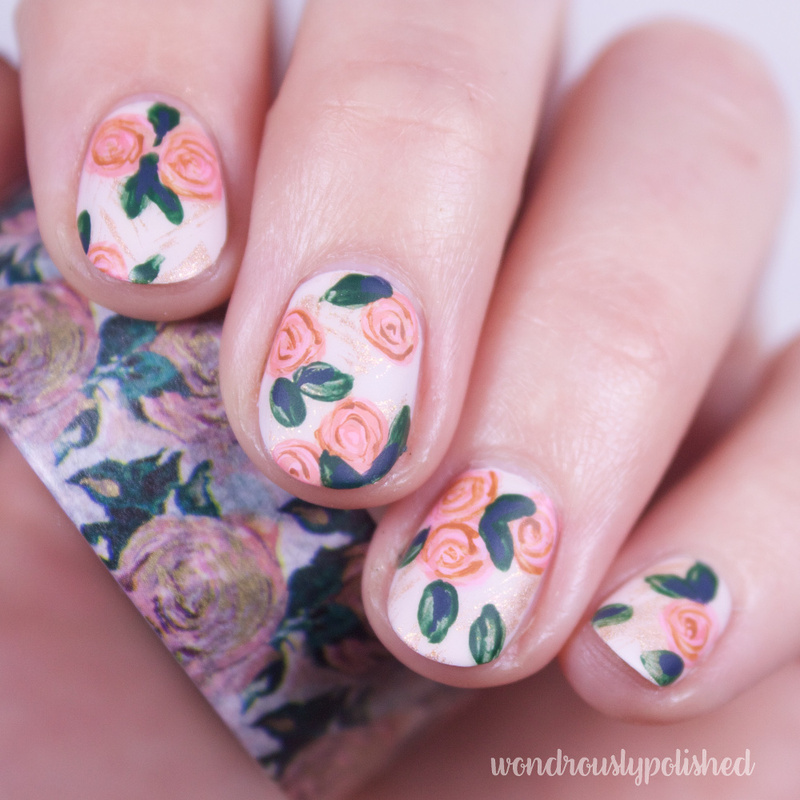 This month's kit features pinks and rose gold florals and was lovely in its cohesion. Last, but certainly not least in this epic swatch-shara-thon, is the Zoya Enchanted collection! 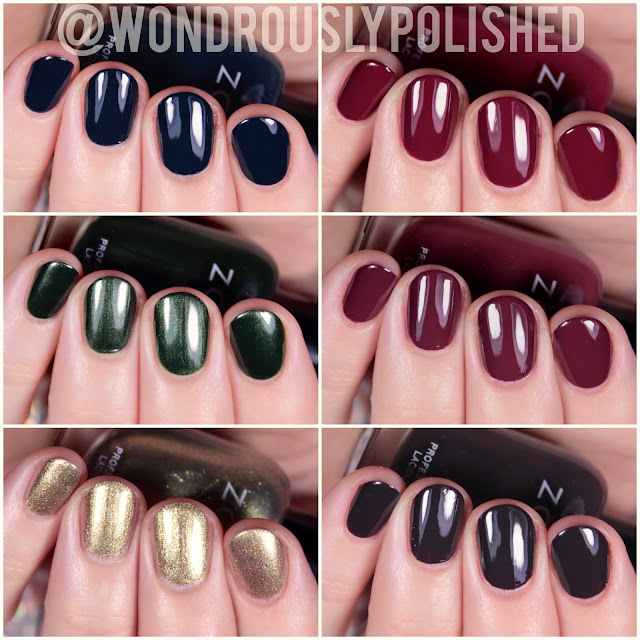 This was their Holiday 2016 collection and is another set of polishes that I got waylayed in posting due to the wedding, recovering from the holidays, and just general "getting back into the swing of things". Hey, friends! Hope everyone's week is going smoothly and as you all hoped! 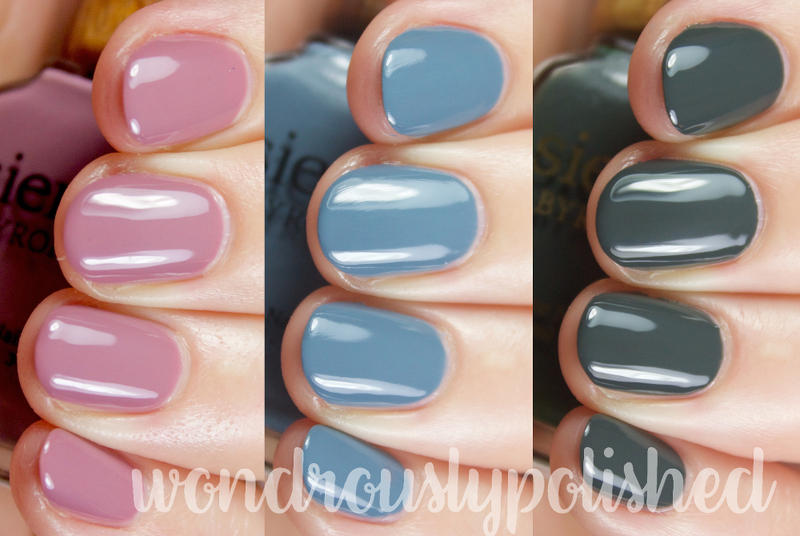 Today I have a brand I have known and loved for ages, but this is the first time reviewing it - Essie! This is their "new" line, Gel Couture, which is a no-cure gel collection. Essie claims up to 14 days of wear with these polishes when combined with their top coat and there are 48 polishes available in the line. While I did not wear any of these for 14 days, I did wear Flashed for about 4 days with the top coat and it latest fairly well, though not without chips and pealing. I also found that the top coat took AGES to actually dry which, coming from someone who is used to a quick dry top coat, found this mildly infuriating. That said, I absolutely love the brush and handles that these new bottles boast, and the application for each of these polishes was beautiful - easy to use on both the dominant and non-dominant hands. I did receive 2 packages of these for review...however, the first arrived with a broken bottle. I decided to still swatch all of them, but you'll notice some of the bottles have polish all over them, and I wasn't actually able to open some of the bottles that had polish on them. Since all these pretty much applied the same, I'm just sharing the polish number, name, and number of coats needed for each shade. Let's take a look! I hope everyone is having a great week so far! I can't believe we are already into the last Wednesday of January!? Where did the time go? 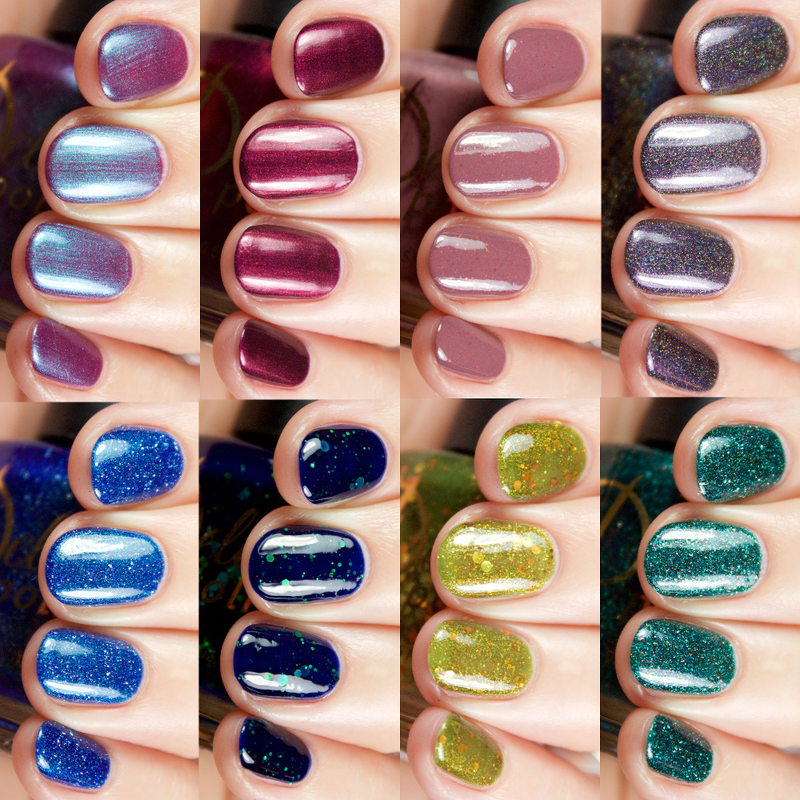 Today I have swatches of the Delush Polish Knights of Thrones collection to share with you all! This was actually Adrianna's Fall collection, but when I received it, I was dead in the middle of all my wedding planning chaos and wasn't able to share until now...but with these pretty polishes, better late than never! For those who don't know, all Delush polishes are 5-Free, Vegan, and Cruelty Free, and the founder, Adrianna, always draws her inspiration from fantastic sources and comes of which such clever names. I'm always excited to see what she's dreamed up each season. 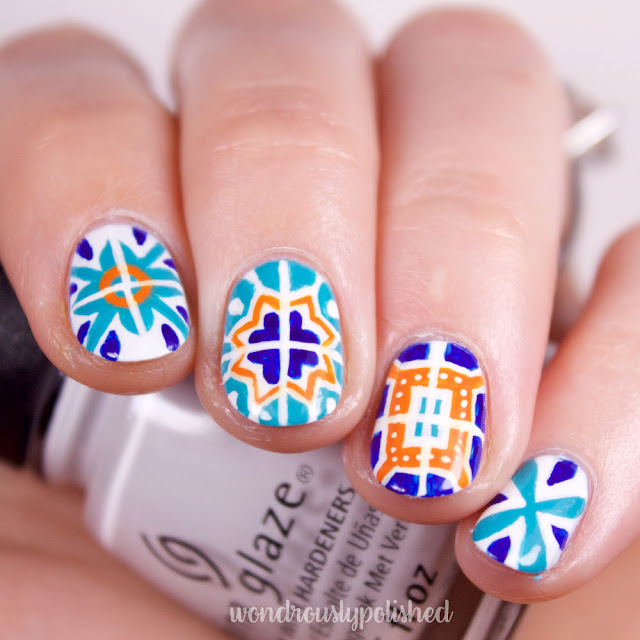 This collection is her second Game of Thrones inspired set, but unlike her previous Dames of Thrones collection, this time she's giving the Knights of Westeros their time in the spotlight. Hello, hello! Happy Tuesday! 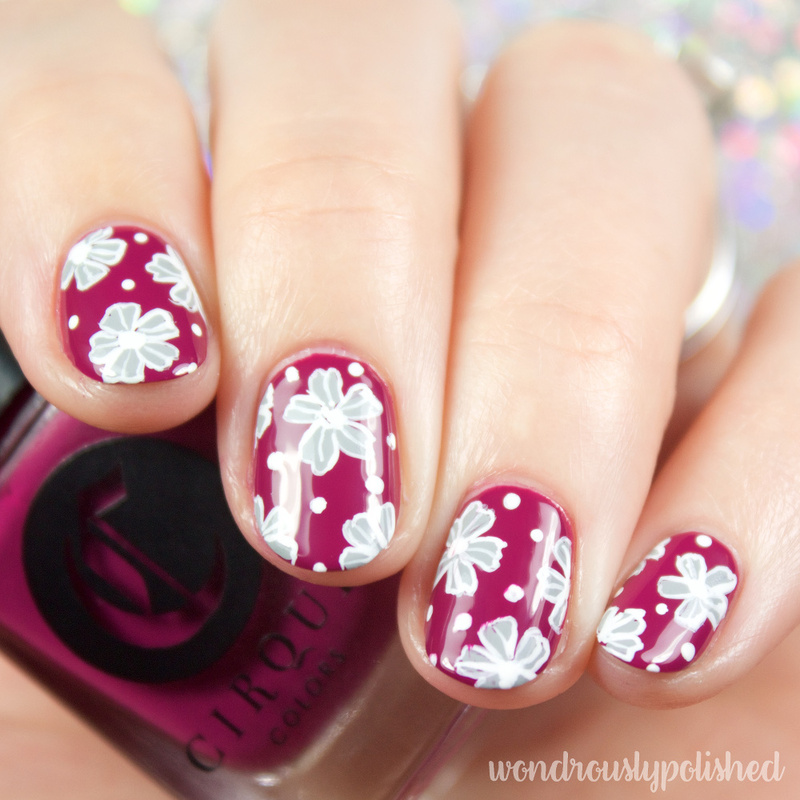 I've got swatches from one of my all time favorite brands today - Cirque Colors! These 6 shades are the next installment of their popular creme polishes, the Metropolis Collection. I can honestly say that the Metropolis collection as a whole is one of the best selection of polishes I've seen. I'm a die hard fan of creme finishes and I feel like Annie does an incredible job each month curating new and exciting shades. So let's take a look at the polishes that were apart of the tail end of last year's collection! Hello, my friends. It's been awhile, hasn't it? 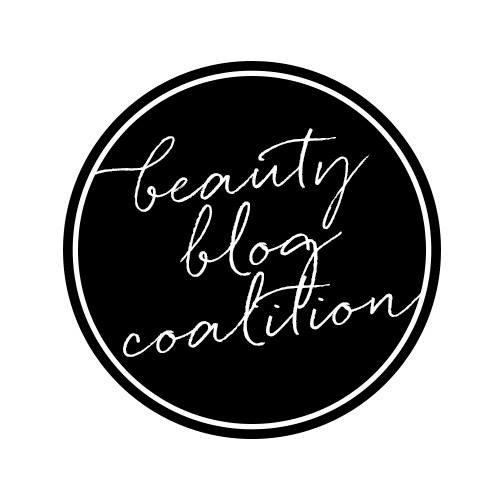 I've been busy with life and work and struggling to balance my day to day duties...but I'm so missing my blog! 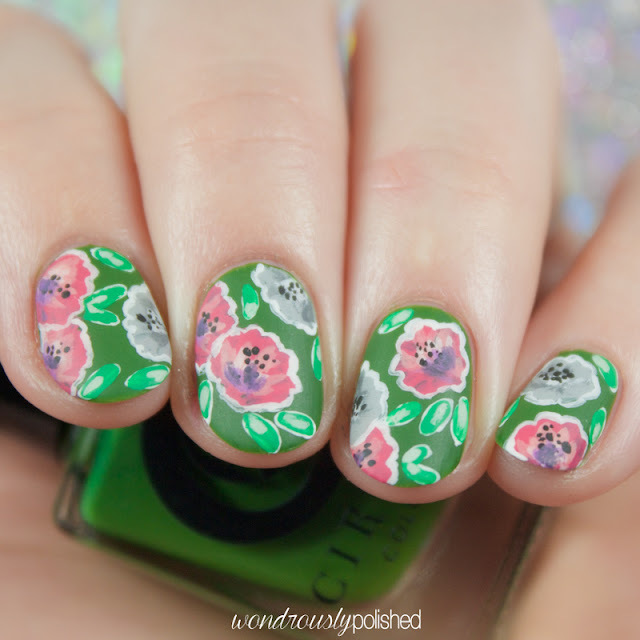 So I've got a few sets of swatch posts to share with you all to get back into the swing of things! Today I've got a new to me brand to share, Sienna Byron Bay! They are an Australian based brand (Byron Bay!) that boasts a 7-Free formula which is both Vegan and Cruelty Free. Always nice to see brands that value this! Right off the bat, these bottles are the most striking feature of this brand. They're squoval glass bottles are all topped unique (and stunning) wood caps. I LOVE the look of these. From a marketing standpoint, these are spot on. So how do the polishes do?...let's dive in!